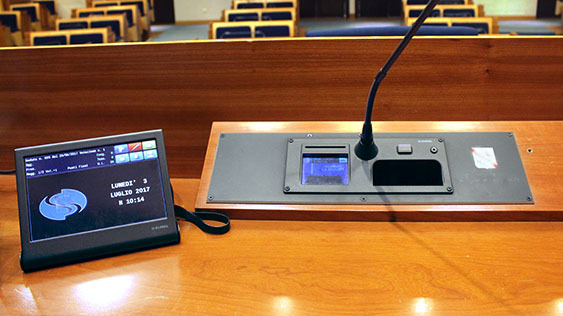 Eurel Informatica S.p.A. - company specializing in Electronic Voting Systems and Conference, implements solutions for industrial automation and organization of the activities of parliamentary assemblies and Public Administration. The systems of Eurel Informatica SpA are guaranteed for a period of 2 years. Following Clients requests, Eurel Informatica SpA provides a technical assistance service against payment. Eurel Informatica SpA is responsible for on-site operating presence and system conduction during Assembly activities.